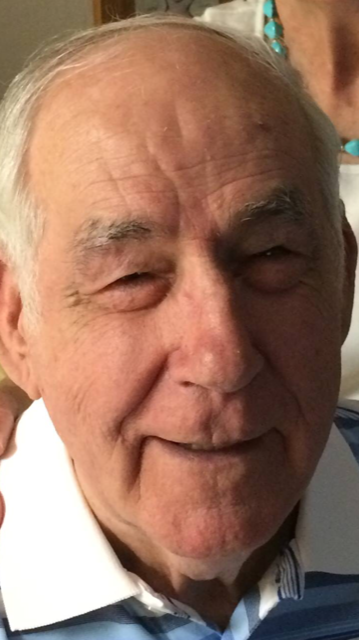 Charles David Larzelere passed away peacefully at Sunset Village in Sylvania, OH, under the care of Ashanti Hospice, on September 23, 2018. He was 80. Charles (Chuck) was born on July 30, 1938 to Kenneth and Mary Larzelere. He grew up in Sylvania, OH, attended Burnham High School (class of ‘56), married his high school sweetheart, and settled down and raised their crew of five kids. He was a hands-on dad, involved in his kids (and grandkids) activities. He taught us how to properly mow a yard, throw a ball, drive a car, shoot a basketball, work hard, and be kind human beings. He was a funny, smart, genuine person who loved his family and friends, cared for neighborhood kids like his own, and had a fabulous sense of humor right up until the day he died. He will be missed by everyone who knew him. He is survived by his children Laurie Larzelere Tyler, Wendy Larzelere, Thad Larzelere, and Ryan Larzelere; daughter-in-law Dawn Thorburn Larzelere; grandchildren Sterling Tyler, Logen Larzelere, Alexander Larzelere, Caroline Larzelere, and Franchesca Larzelere; brother Donald (Nancy), sisters Elinor Reis and Kitty Ducy, sister-in-law Cheryl Lewis, his dear friend John Kieffer, and his other dear friend Fritzie. Charles was preceded in death by his wife of 55 years, Carlene, his daughter, Julie, his brothers Gene and Keith, his parents, his step-mother Ruth Miller Larzelere and her son and his best friend, Dave Miller, his father and mother-in-law Carl and Dorothy LeMaitre, two brothers-in-law, one sister-in-law, three nieces and one nephew. There will be a private burial. We invite family and friends to share in a celebration of Chuck’s life on Friday, September 28 from 12-2 pm at Mayberry Village, 8160 Sunset Lane, Sylvania, OH, 43560. Please join us for lunch and to honor our dad’s well-lived life. Our dad had Parkinson’s Disease. In lieu of flowers, please consider a donation to The Michael J. Fox Foundation for Parkinson’s Research in his memory.